I'm just trying to export a contacts list from my Samsung Galaxy Note 4 to CSV format, so that I can view them on my desktop computer freely. And sometimes I also need to import them to my another phone for business purposes. However, I can't find any number on my phone after connecting the device to the computer, what wrong with my phone? Or how to save my Samsung contacts as CSV format directly on my personal PC? Thanks in advance! A increasing number of additional functions have been added into new coming phones. Well, no matter how many new features in the Android smart phone, the most used and important data could undoubtedly be contacts, right? With the using of Android mobile phone in the daily life, your contacts may become messy, or even lost in some specific situations, then more and more users wish to export Android phone contacts to computer as an editable, readable yet printable format on the desktop computer. That is why we write this post here to tell you how to backup Android contacts as Excel CSV format easily. 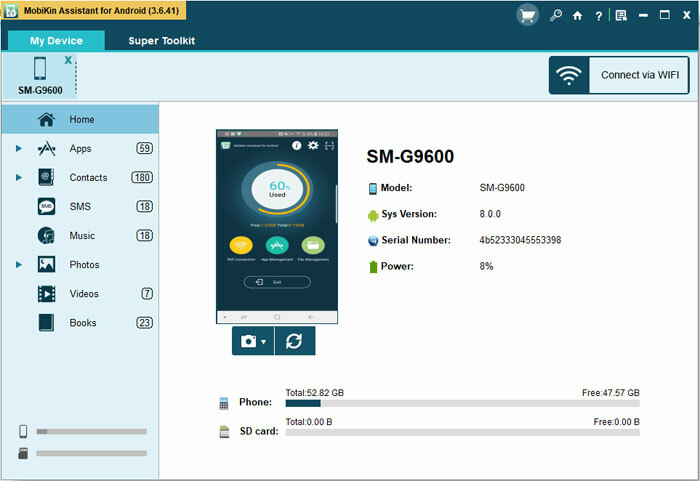 To achieve the goal, the first thing you have to do is to find a reliable Android Contacts Backup or Export program as the helper. Here, we kindly recommend MobiKin Assistant for Android and MobiKin Assistant for Android (Mac Version) for your reference. It could be the best 3rd-party program, which empowers you to export and save Android contacts to computer as CSV format selectively or in a batch. After that, you can view, edit or import the CSV file to other Android phone via Gmail easily. - Install, uninstall and backup apps on computer. Preparation: Before we start the process officially, you need to ensure the USB debugging on your Android phone is opened. For more details about how to enable USB debugging, please click the link to learn more info. 2nd step. All files on your phone will be categorized on the left side panel. 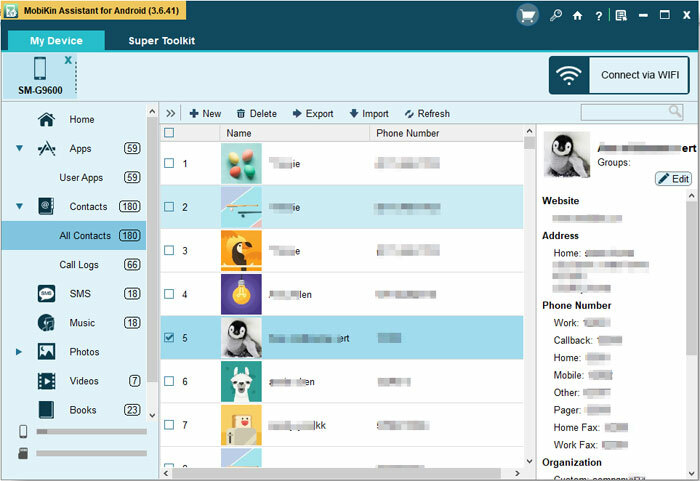 Here, you only need to click the tab of "Contacts", and then the program will automatically conduct a deeply scanning on the connected device to find out all contacts on your phone. 3rd step. Mark the numbers you wish to export. After that, you can hit "Export" button to export and save the selected contacts as CSV format on your computer with zero losing. And you can use the exported contacts to any places you like without limitation.